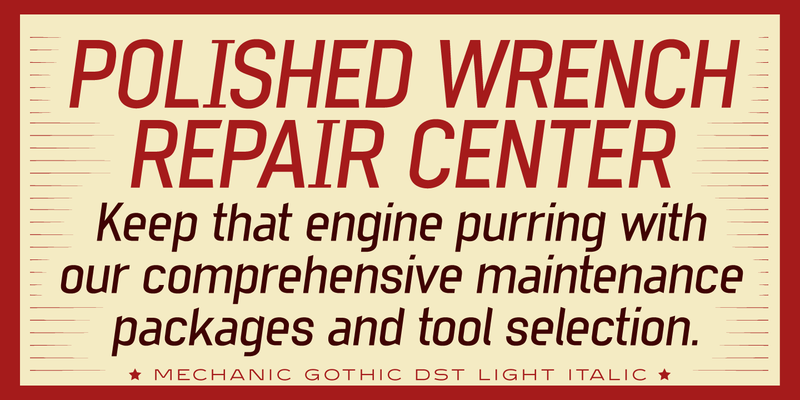 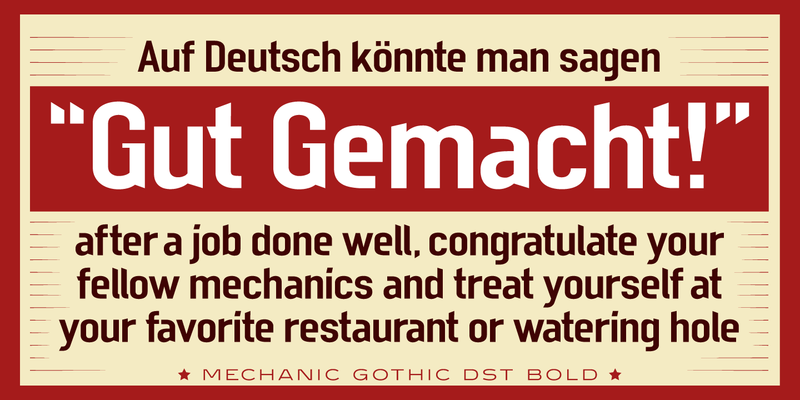 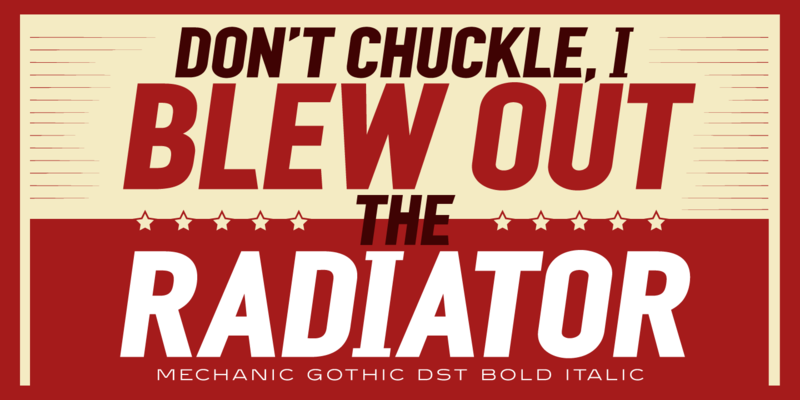 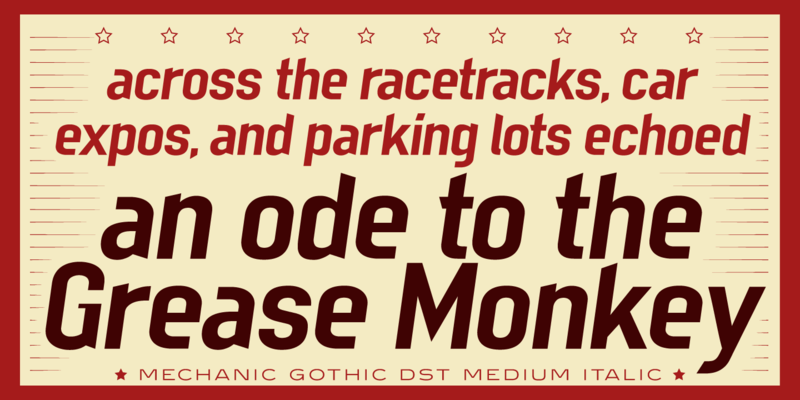 Mechanic Gothic DST is a condensed sans serif font family designed by Darren Scott. 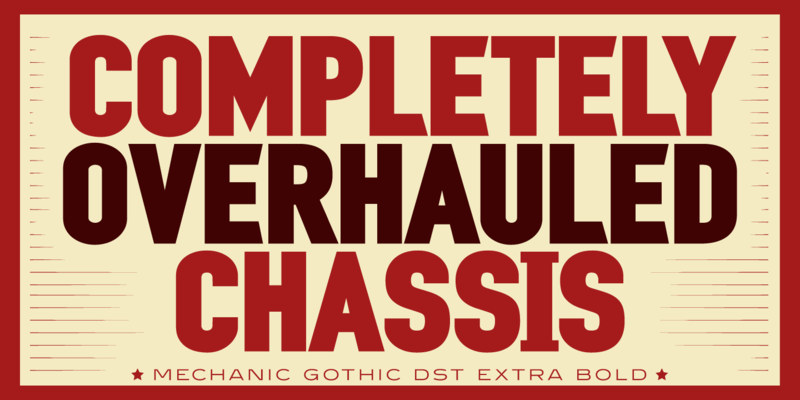 It was remastered and produced by Steve Jackaman (ITF) in 2004. 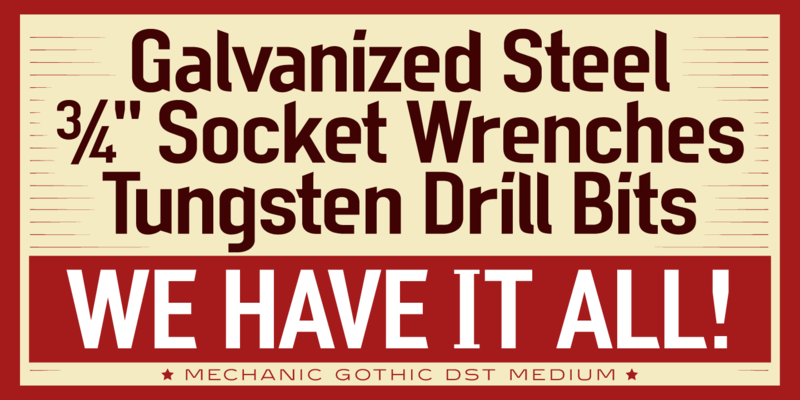 Mechanic Gothic DST is influenced by typefaces used for impactful advertising during the Industrial revolution, and draws on elements from the works of 19th-century American wood type makers. 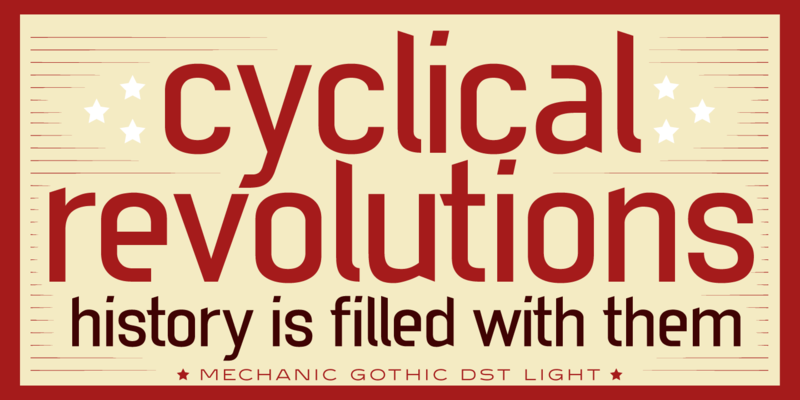 It has several classic condensed sans-serif elements, and Scott injected a contemporary twist to refresh the character shapes. 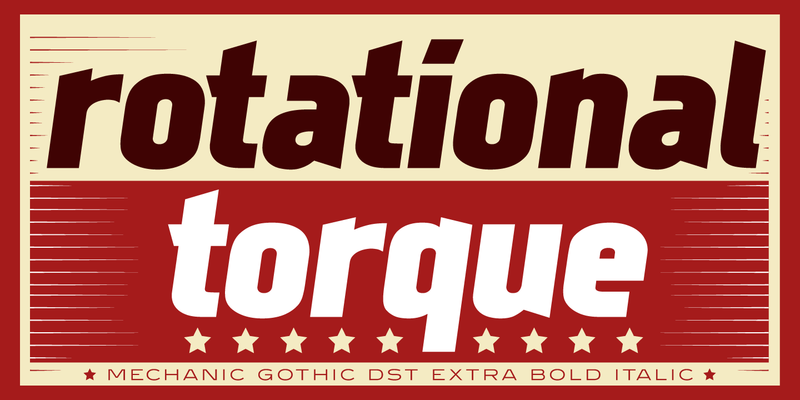 Jackaman re-crafted Scott’s original Mechanic Gothic for this exclusive re-release, and gave it a more conventional range of weights plus italics. 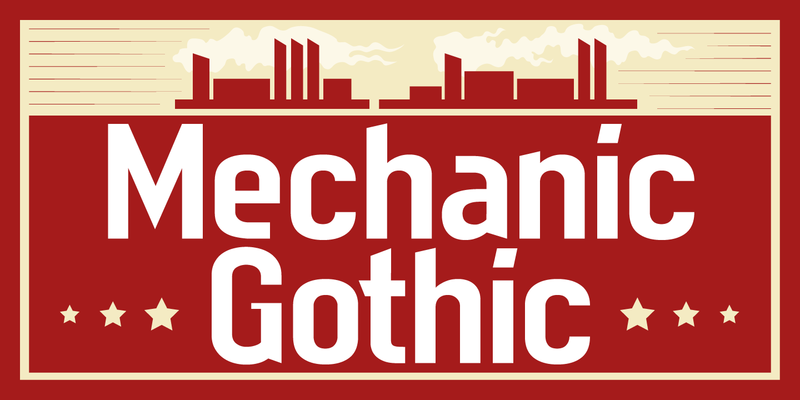 Mechanic Gothic DST is a trademark of International TypeFounders, Inc. (ITF).